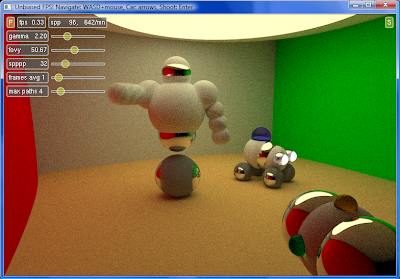 The number of samples per pixel can now be altered at runtime with the O and P keys. 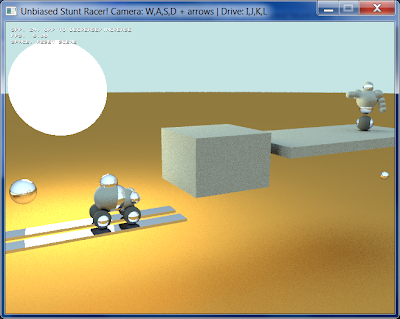 Pressing space resets the car. I've converted some of the stratified sampling in the original code back to purely random sampling, resulting in a slightly noisier but more realistic image. 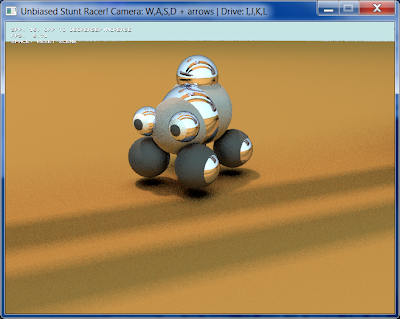 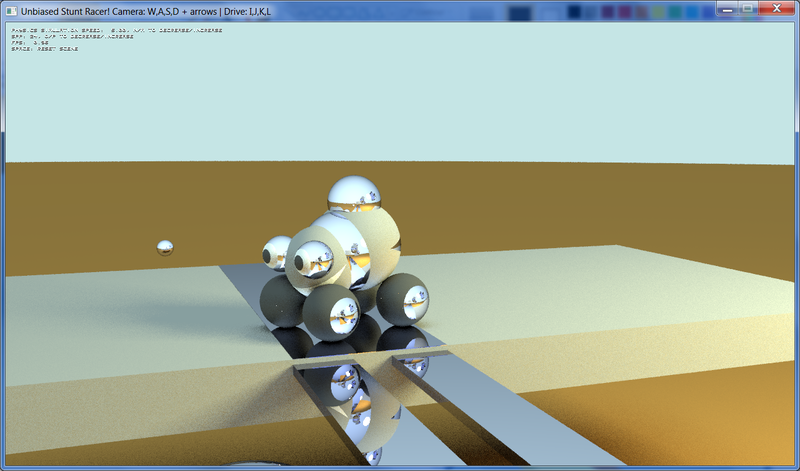 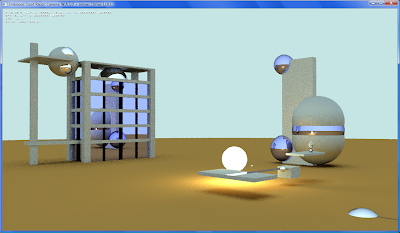 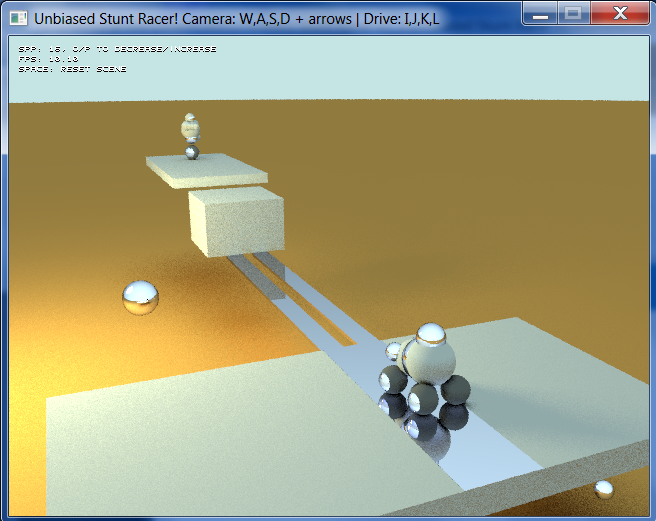 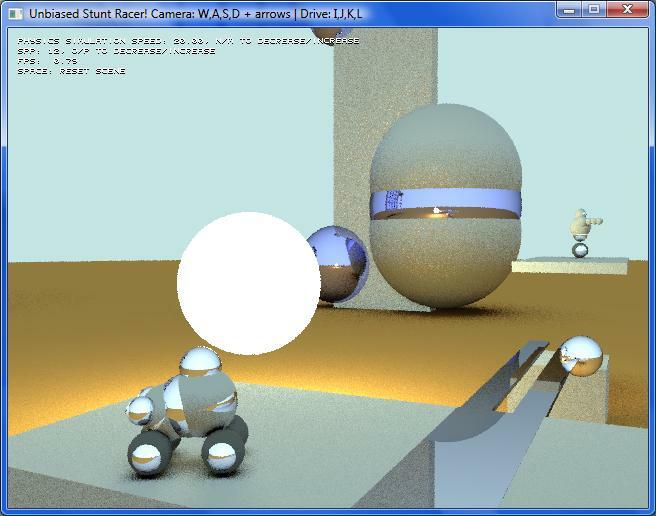 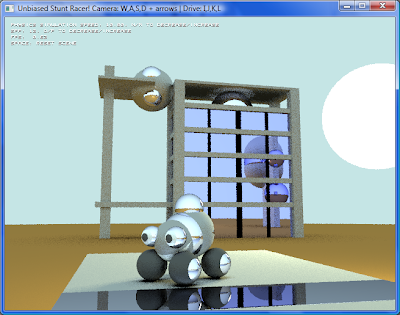 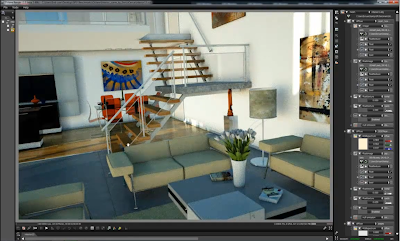 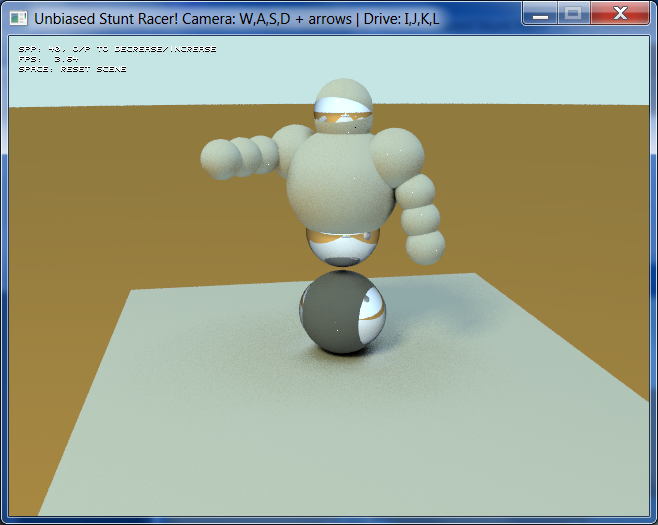 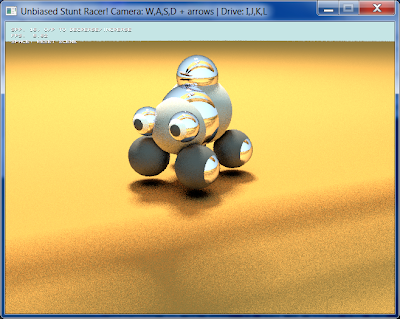 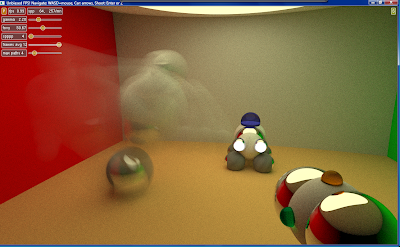 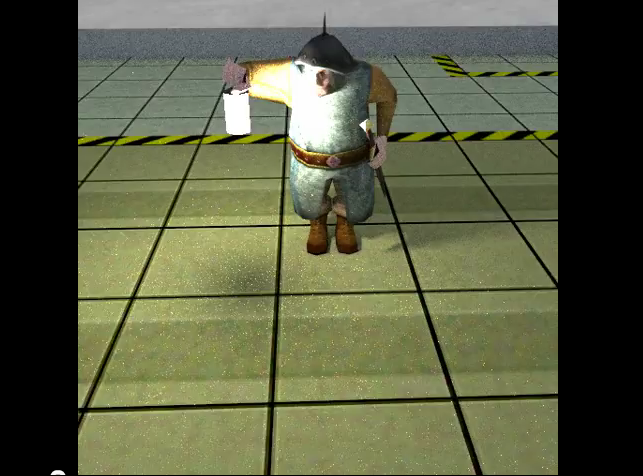 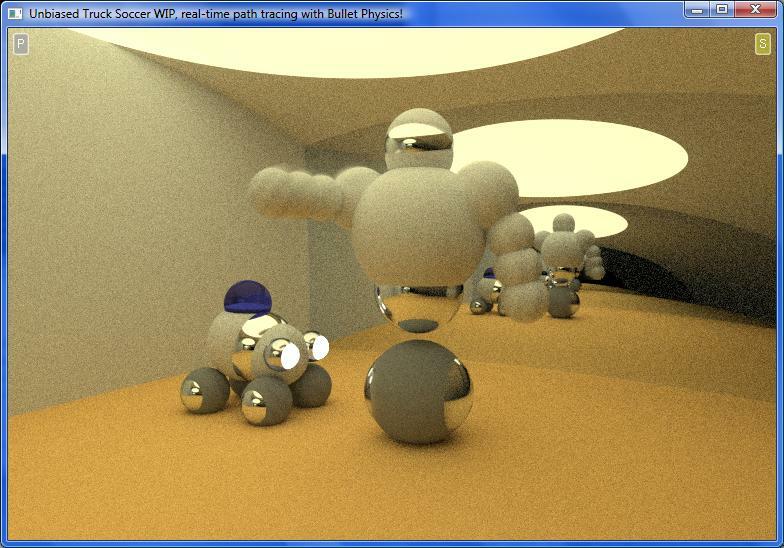 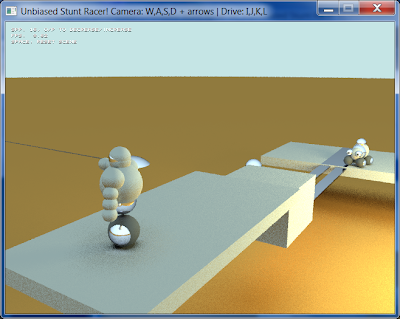 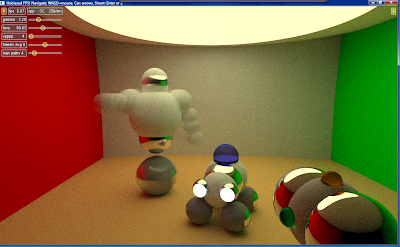 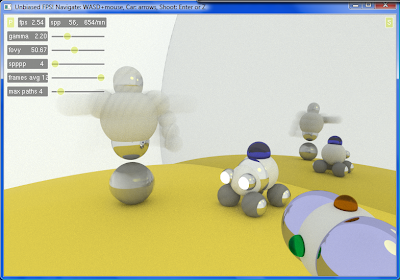 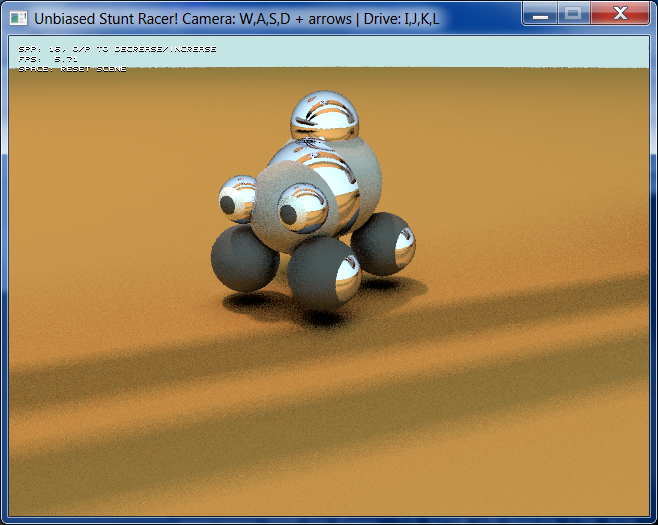 The biggest advantage of using real-time ray tracing/path tracing for these "games" (besides having higher quality graphics) is that almost anyone can immediately start creating simple games without worrying about lighting, shadows, multiple reflections, refractions and all combinations of these effects. 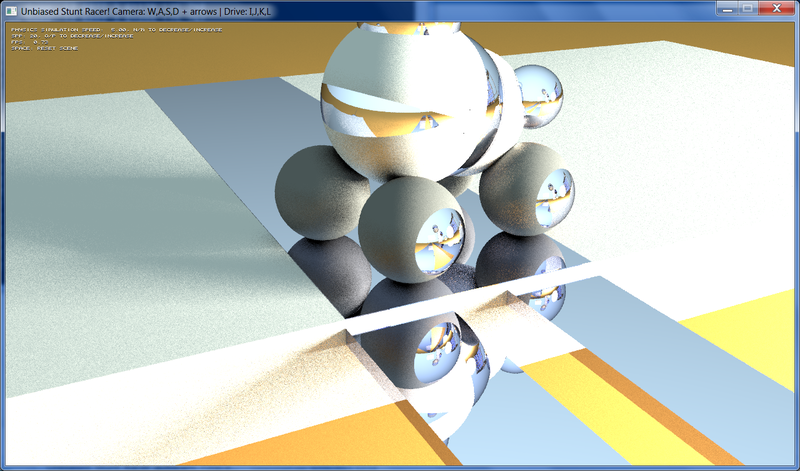 Everything just works as expected and without any effort on the artist side. 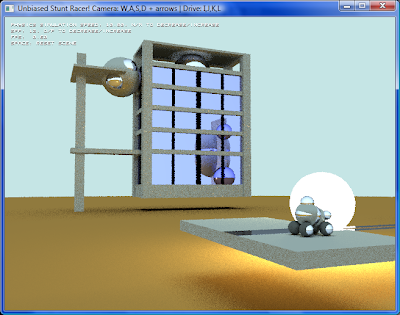 It's like a "push button" game engine: just create the scene and the renderer takes care of everything else.